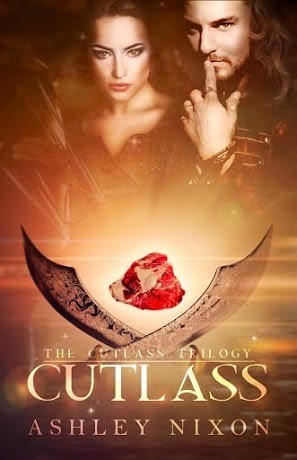 Were you here when we revealed the brand new cover for Cutlass, the first book in the Cutlass Trilogy? If not, check it out HERE! Now it's time for BOOK TWO! Ashley was born and raised in Oklahoma, where the wind really does sweep down the plains, and horses and carriages aren't used as much as she'd like. 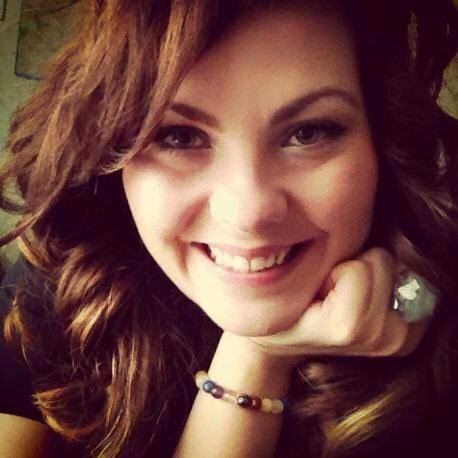 She has a Bachelor's in English Writing and a Master's in Library Science and Information Technology. When she's not writing she's either working out or pretending she's Sherlock Holmes. Her obsession with writing began after reading the Lord of the Rings in the eighth grade. Since then, she's loved everything Fantasy--resulting in an unhealthy obsession with the 'geek' tab on Pinterest, where all things awesome go. 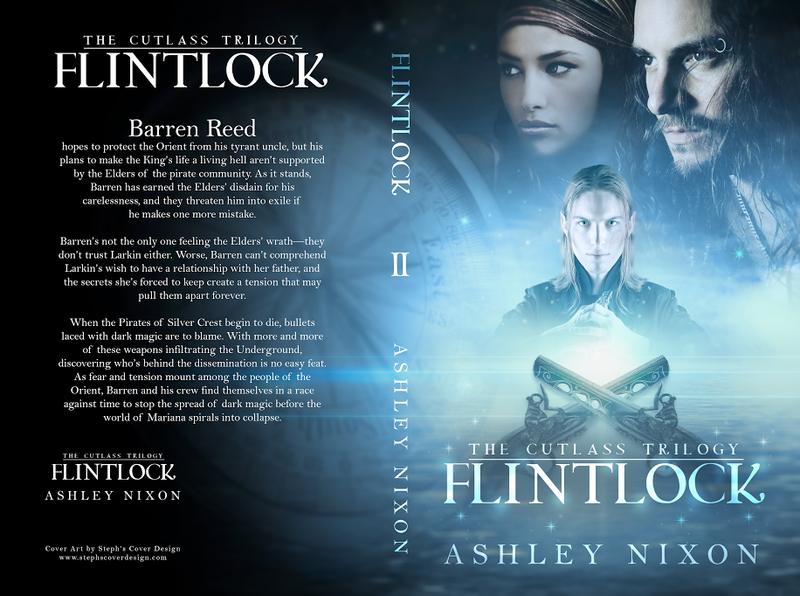 FLINTLOCK WILL BE AVAILABLE FOR PRE-ORDER SOON! Barren Reed hopes to protect the Orient from his tyrant uncle, but his plans to make the King’s life a living hell aren’t supported by the Elders of the pirate community. As it stands, Barren has earned the Elders’ disdain for his carelessness, and they threaten him into exile if he makes one more mistake. All right, so I've introduced you to the first book in the series, the amazing author behind these fantastic pirate books, I guess it's time to FINALLY share the cover!!!! What's better than amazing cover? AN AMAZING COVER AND A GIVEAWAY!!!!! Show your support for Author Ashley Nixon by also stopping over to visit the other amazing blogs who have signed up to help us spread this fantastic new cover as far and wide as we possible can!!! My favorite part of the cover is the background and the overlay, giving the cover depth.